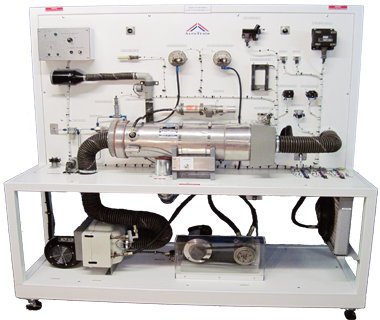 The Model AS-43 Air-conditioning and Heating system trainer is a fully operational model of a typical light aircraft air-conditioning and heating system. All components are actual aircraft parts, and it allows the instructor to fully demonstrate the operation of the various system components. The trainer also allows the students to troubleshoot various faults induced by the instructor. The trainer is also supplied with a comprehensive Computer-based Training (CBT) courseware to enhance students’ understanding and to provide the essential knowledge about aircraft air-conditioning and heating system.